The University of Michigan has been recognized for its work in the areas of sexual assault prevention and alcohol abuse prevention by a national organization dedicated to creating safer, healthier campus communities. 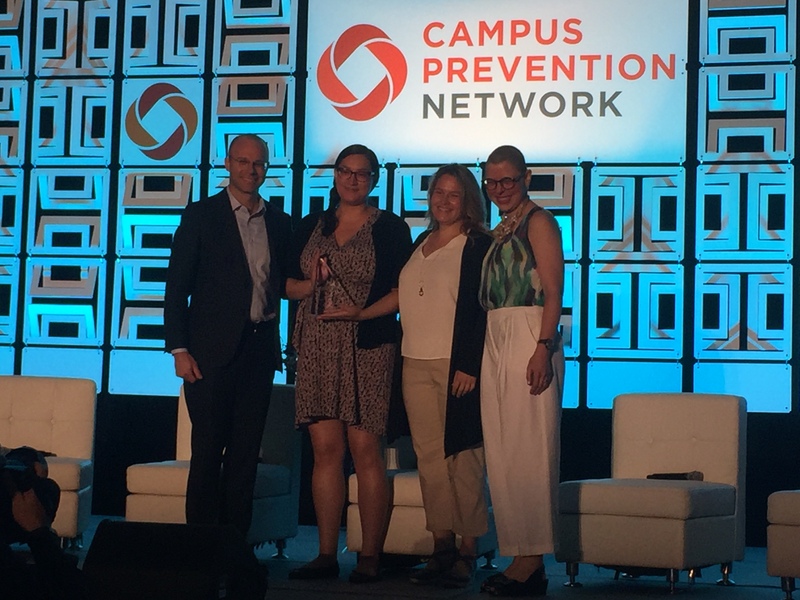 The Campus Prevention Network, a nationwide initiative of more than 1,700 institutions, presented U-M with two Prevention Excellence Awards during its annual summit June 8 in New Orleans. 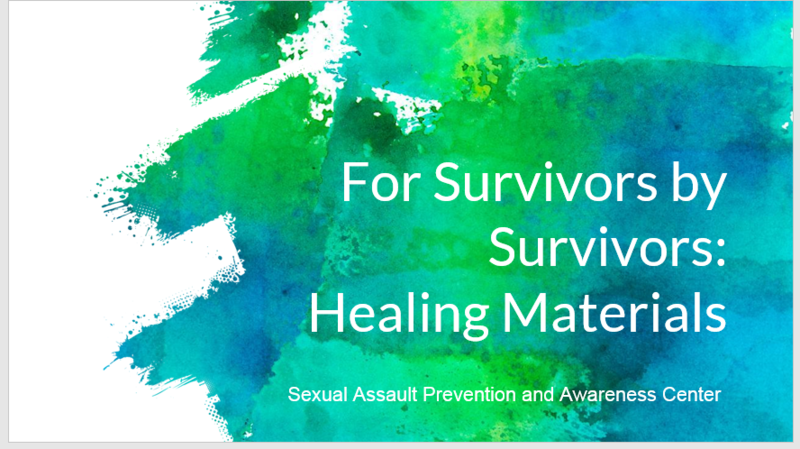 A resource created by survivors for survivors, highlighting the materials (books, poetry, songs, movies, and shows) that they found helpful as a part of their healing process. 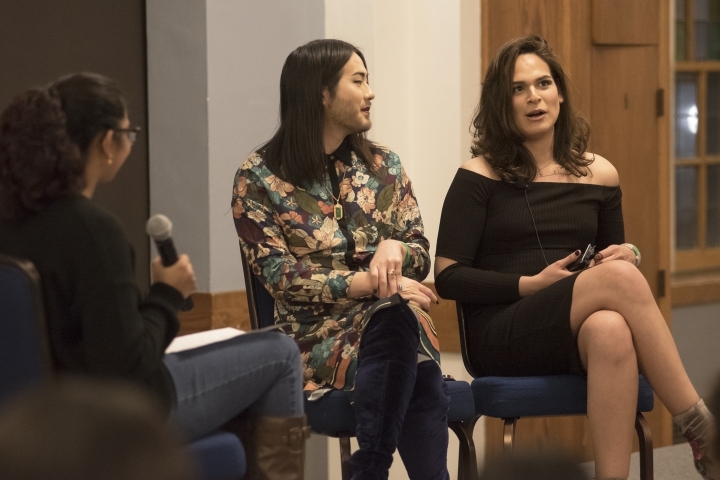 On Friday, February 9th 2018, SAPAC's Consent, Outreach, and Relationship Education Volunteer Program welcomed UM Alumni Alex and Effee to campus for a talk about the intersection of queer, trans, and PoC identity and healthy relationships. 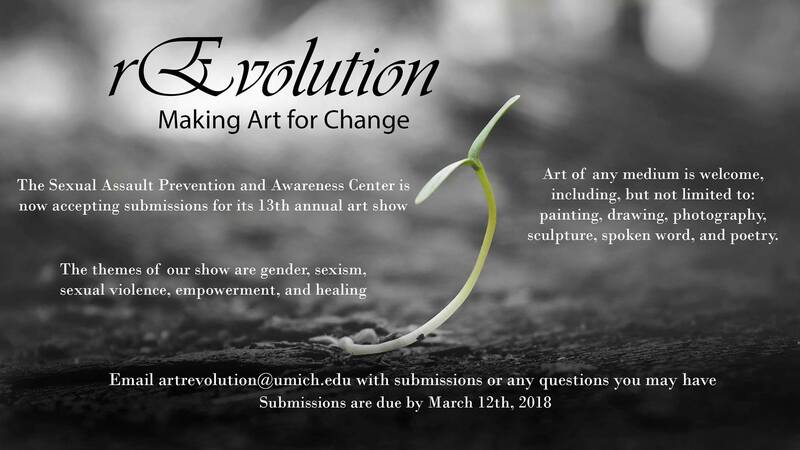 SAPAC's Survivor Empowerment & Ally Support (SEAS) Volunteer Program is now accepting submissions for the 13th annual rEVOLUTION: Making Art for Change art show! SAPAC's Peer-led Support Group is a weekly, drop-in and confidential group for survivors to express concerns and find support among peers in a comfortable setting facilitated by student staff.